If you are worried about stray hairs blowing around, sand on your clothes, and looking perfect, beach sessions are not for you. 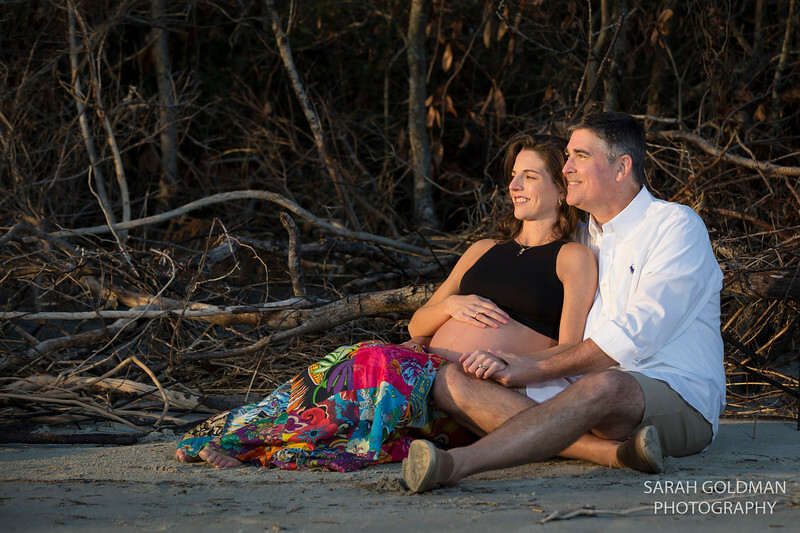 Beach sessions are casual and fun, but they can also be windy, hot, cold, or buggy. I do everything in my power to choose the best location to minimize any unpleasantness and I always come packing bug spray! Beach sessions are always the hour before sunset. My go-to locations on Folly are the Folly Beach Fishing Pier, Summer Place, Folly Beach County Park, Lighthouse Inlet, and 4th Block West. Lighthouse Inlet is a 10-minute walk from the parking area, partly in sand. While you are rewarded with beautiful views of the Morris Island lighthouse, boneyard beach, downtown, and rock jetties, the walk is not ideal for families with little ones or elderly family members. It can also be quite buggy. If you are staying on Folly, we can also just meet at your house/hotel and go out to the beach from there.